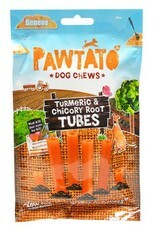 Pawtato Turmeric & Chicory Root Tubes are made with nutritious sweet potato and rice infused with botanical turmeric and chicory root. 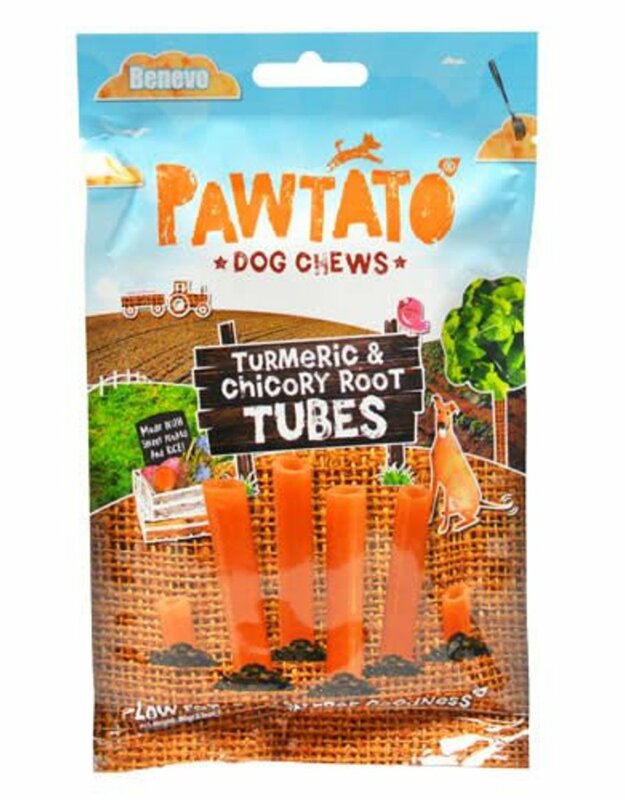 Composition: Sweet Potato Flour (45%), Rice Flour (26.5%), Corn starch, Vegetable Glycerin, Turmeric (0.2%), Chicory Root (0.2%), Potassium Sorbate. Analytical Constituents: Crude Protein Min. 3%, Fat Content Min. 0.5%, Fibre Max. 2.5%, Ash 1.5%, Moisture Max. 17%.